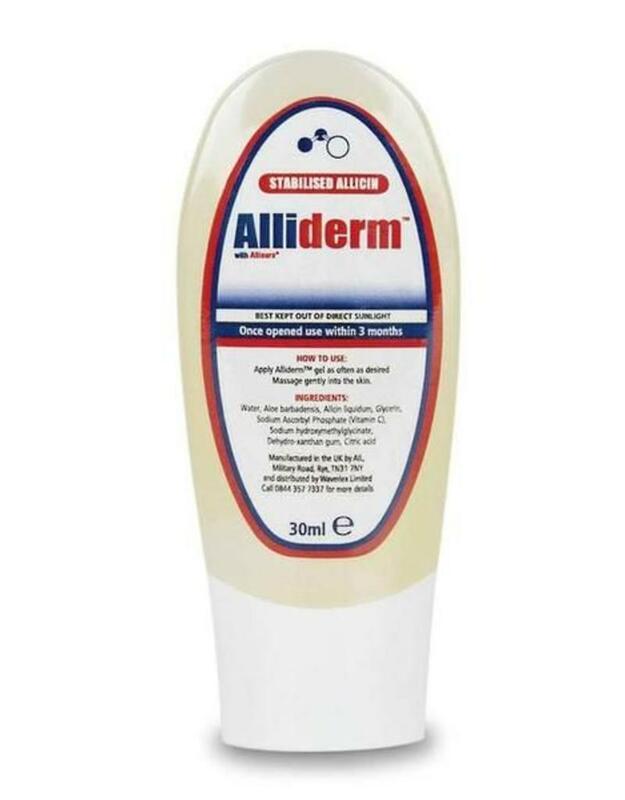 Alliderm® heals wounds quickly, helps to prevent scarring, and can be used to protect your hands (and other exposed skin surfaces) from infectious organisms*. 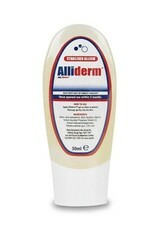 Alliderm® is safe and easy to use and does not contain alcohol so will not damage skin. 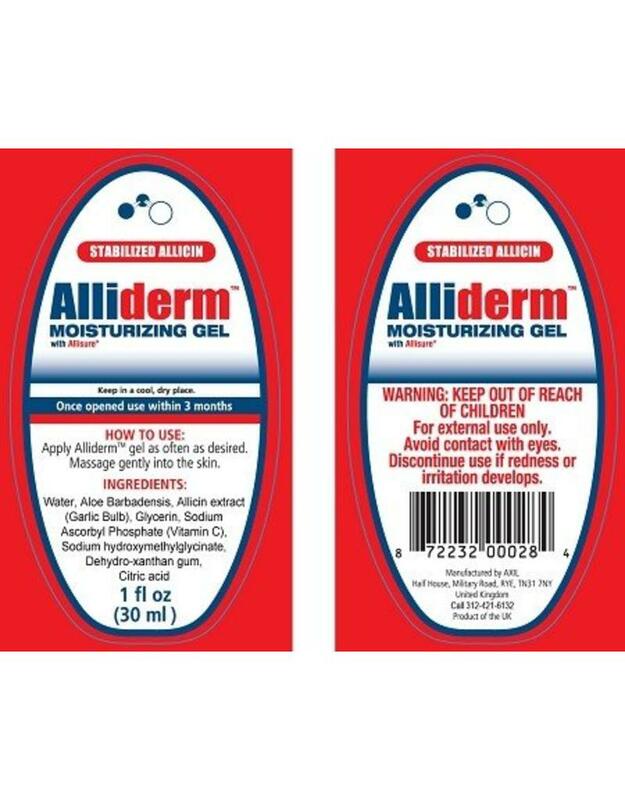 How to use Alliderm® Gel: For external use only. 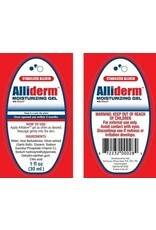 Apply Alliderm® Gel as often as required. Massage gently into the skin. Use at least once daily on the dry area. 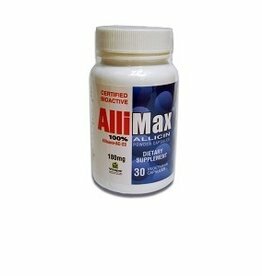 Best kept out of direct sunlight and should be used within 3 months. Ingredients: Aqua, Aloe barbadensis, Allicin AC-23 liquidum, Glycerin, Sodium Ascorbyl Phosphate (Vitamin C), Sodium hydroxymethylglycinate, Dehydro-xanthan gum, Citric acid.